Belgian born Dirk Dierickx (now known as Mike Dierickx after changing his name in 2000) started his music career at the age of 11 when he first saw the potential of what he could do with samplers and keyboards but it wasnt until the age of 18 that he first got signed to the label USA Import Music after handing them his demo. Shortly after he released his first EP, Vision Act – A New Sign (together with Frank Van Den Driessche). Over the years, Mike has been using 65 aliases, much depending on style and collaboration-partners. The most wellknown aliases are Push, M.I.K.E., Plastic Boy and Absolute. came out on USA Import Music but it wasnt until the release of The Real Anthem (later known as Universal Nation) in 1998 on Bonzai Records that the big things started to happen. Universal Nation did well in the charts and got really positive reviews. First released in France, Spain and Germany and in 1999 most other European countries followed (UK, Italy, Norway, Sweden, The Netherlands). Due to the several individual releases, the song has three different titles: Universal Nation, Universal Nation ’99 and Universal Nation (The Real Anthem). The success of Universal Nation gave Push several awards, major chart-success and put focus on Belgian dancemusic. Worth noticing is that the vocal/robotic-sample in the middle break, ”proceed with visual attack formation” is sampled from the 1984 film The Last Starfighter. In 1999, Push released both Cosmonautica and Till We Meet Again, the latter is a tribute to Marino Stephano, a fellow Belgian that died on the way to the studio to record with Push. Too bad no one will ever know what could have come out of that collaboration. Till We Meet Again is one of my personal alltime-favourites. The 2000 album, From Beyond is IMHO a legendary album. Containing such hits as Universal Nation, Strange World, Cosmonautica, Till We Meet Again, Tranzy State Of Mind and The Legacy on the same album is madness! The followup-single, Strange World became a huge chartsuccess and once again, Push topped the dancecharts in Europe. It even became the official theme to Trance Energy in 2001. The single differs from the album version which is abit more laid back. The Legacy, released in 2001 became another huge success, both in the clubs and in the charts and was later followed by the single Tranzy State Of Mind in 2002. 2002 also saw the new-ish album, Strange World, which actually was a re-release of the first album, From Beyond but with some newer versions of the tracks and a few remixes. It was also the year that the single Push vs Globe – Tranceformation came out. The 2003 release, Journey Of Life was another epic trance track which later was followed by Push’s third album, Electric Eclipse and the new singles Electric Eclipse and R.E.S.P.E.C.T. After this, there was a huge gap until 2008 when Push’s new EP, Universal Voice EP came out. In the gap, Pushed worked mostly on M.I.K.E.-productions which can be heard in the sound of the new releases. What I really liked with the older releases was the dark but yet warm sound and the epic buildups while the new tracks lack most of that. The 2009 Global Age album was Push’s fourth album and IMHO the least good of the albums. This saw a more progressive sound and IMHO the edge that got me hooked to Push had disappeared. The last few years, all the effort has been put into M.I.K.E. And Plastic Boy. The sound of the new releases are pretty decent but when I want to hear really good music, I rather put on an old Push-track. The epic sound of old Push will never die, at least not in my mind! 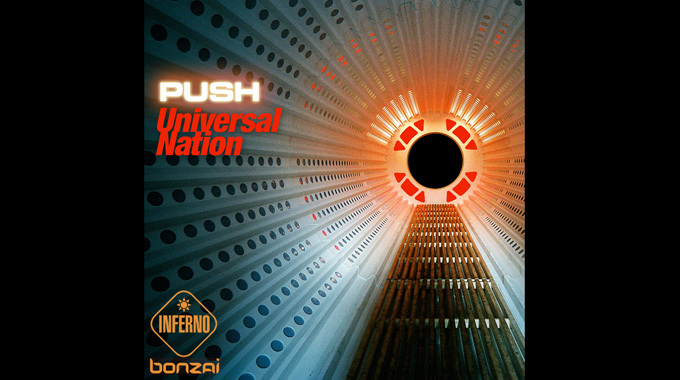 2 Responses to " Classic For The Weekend: Push – Universal Nation "
One of my absolute favorite artists. His best tune IMO? As usual, great job with the article and the fact that this track is frekkin awsome! Lot’s of memories back in the days when I still lived at my mom’s and went to my first parties..